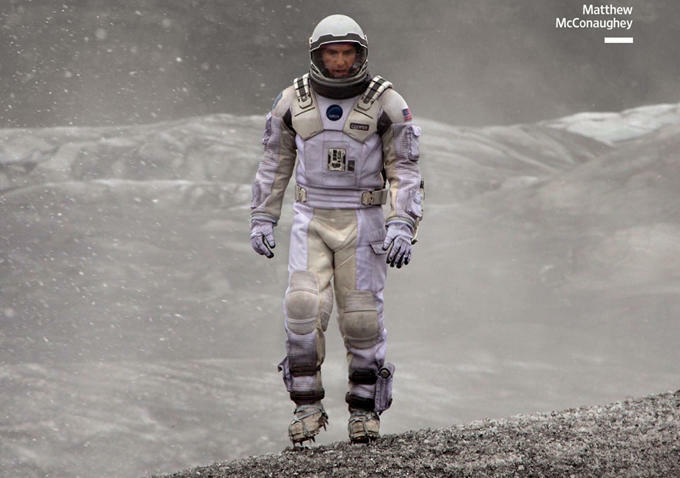 Interstellar: Review and/or Discussion | Shut Up Hamish! Maybe don’t read before watching the film – although I don’t spoil too much, it’s a good one to know nothing about before viewing. I’ve not read any reviews of Christopher Nolan’s newest science-fiction epic, so I don’t entirely know the mass-consensus, or at least what the big critics are saying. This is quite fun, as I get to have an opinion not influenced by the musings of others. I also managed to avoid knowing anything about the plot of the film going in, having not watching any trailers and purposely avoided promotional material. It didn’t seem hard to avoid the promotional material, it felt as if the film sneaked its way into theaters. For what I’m assuming is a very expensive film, with some big names in it, it’s surprising the marketing hasn’t been as big as Nolan’s previous films like The Dark Knight or Inception, films that surely did well because of how hard it was to avoid them in the lead up to the films. Of course TDK was helped by the death of one of the main cast members, but Inception seemed to be all about the marketing – teasing certain scenes in a similar manner to before the release of The Matrix (with the rooftop bullet time sequence played all the time on TV for example). 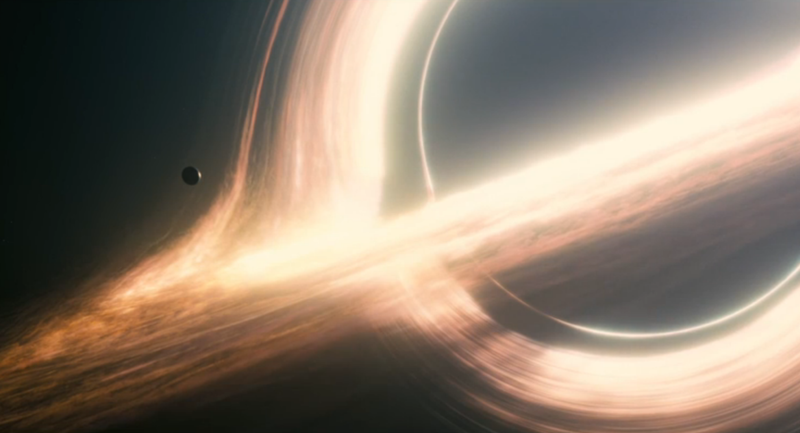 Perhaps Interstellar has been publicized hard and I’ve just avoided it through share luck or ignorance. I’m not looking up the wikipedia page before writing this blog, so I’m not going to bring any new revelations or facts to the table. So without any research taking place, all I’ve got to go on is my gut feeling. Emotions, you know. Based purely on my initial thoughts about the film – I have to say, it’s a hell of an experience. Which is what we may have come to expect with Nolan; big expensive blockbusters that provide a thrilling experience especially when viewed with the intended IMAX projection. He takes the plot in some really fantastic directions and I recommend everyone, even people not usually that interested in science fiction to give it a go. I was getting pretty bored with the idea of movies in general that last few months – getting more interested in the odd TV show (mostly ancient documentaries like Civilization), or just not bothering with any fiction at all. It’s always good when going through a movie watching rut to stumble across a film that shakes you awake and reminds you of why you love cinema. The film isn’t perfect. Without getting too into spoilers, the problems I have with the film are also partially reasons I liked it. Nolan goes just a little bit too far with the narrative, unable to pull back and know when the important stuff has been said – which is perhaps due to studio interference or maybe just due to having too much control and not enough objectivity from the piece of art being created. He missed the opportunity to pose some grand questions and make us think – letting an obsession with tying up insignificant narrative threads overshadow the deeper themes driving them. Similar issues that I had with The Dark Knight Rises. Lack of self-control seems to be a big problem with Hollywood auteur’s, affecting New Zealand’s own Peter Jackson in a similar way with his overblown and over-indulgent Hobbit trilogy. Nolan is the superior filmmaker though, so when he gets indulgent, at least there’s a heck of a lot to chew on and ruminate about – not just pretty high frame rate visuals hanging on a long narrative of nothing at all. But disregarding comparisons with other lesser auteurs, and forgetting the negatives – it’s an amazing, pretty, ambitious, complex and hugely entertaining film. My favorite film of the year so far along with The Grand Budapest Hotel (Wes Anderson) and documentary We Come As Friends (Hubert Sauper). Without ruining too much for those who read one in spite of the spoiler warning – there’s not many films that dare to explore concepts of the nature of time and space, and finite nature of human existence and the preciousness of earth in such a massive blockbuster context. Go see it. Go see it now. Take your Mum to it. She’ll possibly hate it. But it’s the science fiction film of our generation – similar to 2001, and everyone had to see that, so everyone should have to see this.